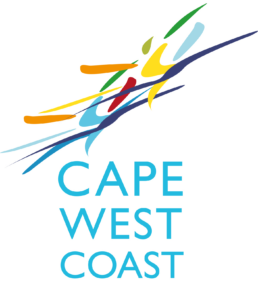 WELCOME – You have arrived at your perfect holiday accommodation in the most tranquil town Paternoster at South Africa’s West Coast. We are less than two hours’ drive from Cape Town. It is a relaxed country getaway, close enough for a weekend break but distant enough from the hustle and bustle of hectic city life. Fresh air and awe inspiring views will open your mind to a new world of sounds, images and fantasy. FARR OUT Guesthouse – Is a place for all those who appreciate tranquil spaces that rejuvenate the spirit and instil a feeling of inner pleasure. But with comfortable, affordable unique accommodation options. 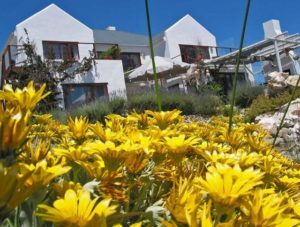 The guesthouse is surrounded by Fynbos and wildlife close to Cape Columbine Nature Reserve. With the breathtaking beach in short distance (a few minutes’ drive). Prepare for an unparalleled symphony of senses with nature’s gifts. SEE – Gaze upon the ebb and flow of the tide in the distance and let your lingering awareness focus on a horizon which stretches on forever. SMELL – The Fynbos with its own unique smell as well as sometimes even the salt of the sea drifting on the crisp sea breeze. HEAR – Listen to the sound of nature: wake up by the bird calls in the morning or keep an ear out for the owl at night. Take a step back and let your soul catch up with your body. Enjoy the unspoiled tranquillity of the Fynbos, nature. With the ocean in the distance as the breath taking scene unfolds with your eyes closed. FEEL – Whether you treat yourself to a wellness package in Hot Tub. Or let the wind play with your hair on a tailor-made Beach Buggy trip: your soul will thank you. Ever wondered what is “Glamping”? It has been described as is likely to satisfy any city slicker seeking a little refuge in nature – without foregoing any of life’s luxuries. Farr Out created an exciting experience in Wigwam Rising Moon. For holidaymakers hunting for the luxurious of hotel accommodation alongside the escapism and adventure recreation of camping. Yes, you read right: a Wigwam (tepee / tipi) in Southern Africa perfect as a romantic getaway along with all the comforts, amenities and even free WiFi.